Mandalay is the second-largest city in Myanmar and the country’s last royal capital. It is also known as the “motorbike city.” It has historic buildings, traditional food, beautiful landscapes, and many temples and monasteries. On a recent visit to Mandalay, I had only one day to explore the city owing to a tight schedule. There are many things to see and do here for those with a few days to spare. But if you have only one, like me, here’s a suggested to-do list. It takes about a 10-hour bus ride from Yangon to reach Mandalay. I arrived at the Chan Mya Shwe Pyi Highway bus gate at 6 a.m. and headed straight for my hotel to drop off my luggage and relax a bit before heading out. I have some friends from Mandalay and they always speak proudly of the local food. So I decided to try some of their most popular dishes for breakfast. 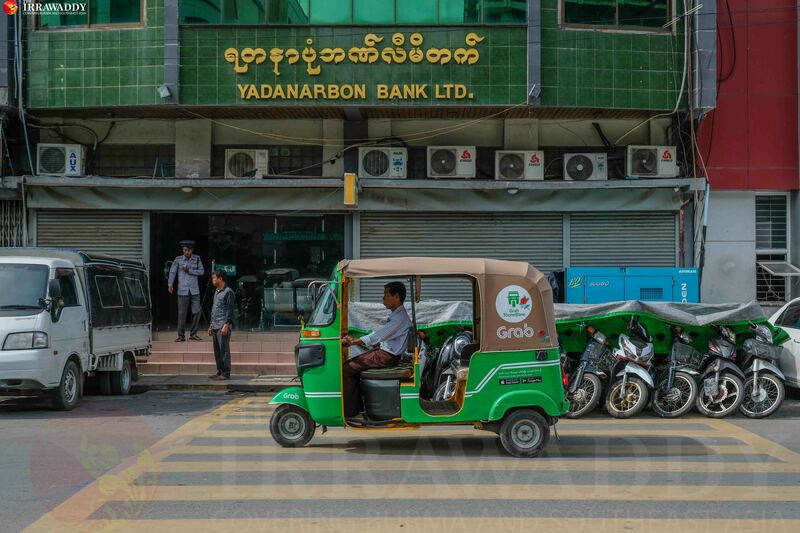 Grab thonebane (three-wheel taxis) are a new and popular way to get around Mandalay. I had been to Mandalay twice before and had trouble with transportation each time because I can’t drive a motorcycle. And the city doesn’t have many taxis, so the car rental fees are very high. Luckily, the city has a variety of transportation service providers including Grab, Oway and Get. I used Grab to catch a ride to the Shwe Pyi Moe tea shop. 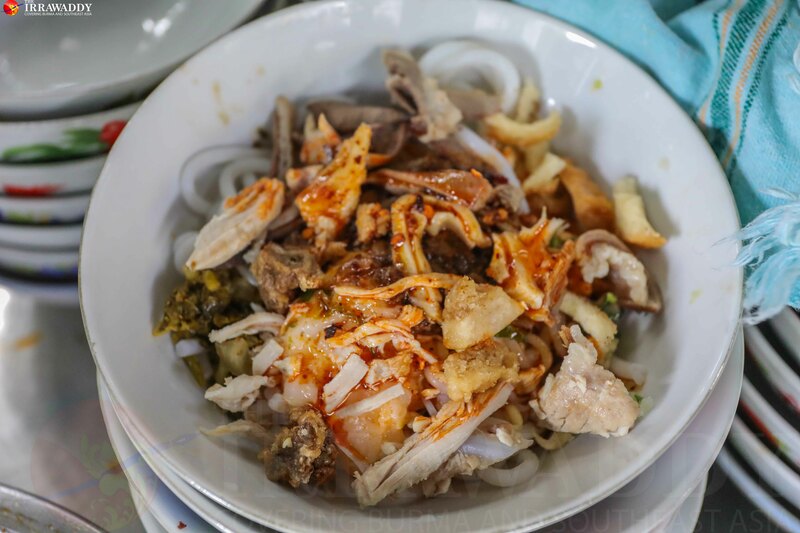 Mandalay is famous for specialties such as moat ti or nang gyi thoke (thick rice noodle salad), mhee shay (another kind of rice noodle salad), man myo daw pauk si (bread dumplings) and htoe moat (glutinous rice cake topped with cashews, raisins and creamy butter). Moat ti and mhee shay are the best choices for breakfast. Shwe Pyi Moe also serves up mohinga, dim sum, dumplings, kyarsan hingar (vermicelli soup) and Shan noodles. But for the best moat ti in town, head to Daw Taw or Soe Soe. Moat ti can be ordered with differed sizes of rice noodle, including nann lat (medium) and nann gyi (large). The dish also includes chicken, fish balls, onion and a few other ingredients. But the main ingredient is roasted bean powder; add too little or too much and the dish is ruined. The moat ti (1,800 kyats) at Shwe Pyi Moe wasn’t bad, but it wasn’t great, either. Unfortunately, Daw Taw was too far from my hotel and I missed a chance to have the best moat ti in Mandalay. It was now 10 a.m. and time to explore the city. I started with Maharmuni Pagoda, also known as Mahar Myatmuni Pagoda or Phayar Gyi, in southwest Mandalay, home to the most revered and ancient Buddha image in the city. The 4-meter-tall statue is cast in bronze and weighs 6.5 tons. It was created in Rakhine State and moved to Mandalay during the reign of King Sanda Thuriya. The place was beautiful, peaceful and nice for a short rest. Maharmuni is always packed with visitors, both local and foreign. I recommend visiting in the early morning to avoid the biggest crowds. Kuthodaw Pagoda is also known as the world’s largest book because of the stone inscriptions inside the 729 smaller pagodas that surround it. 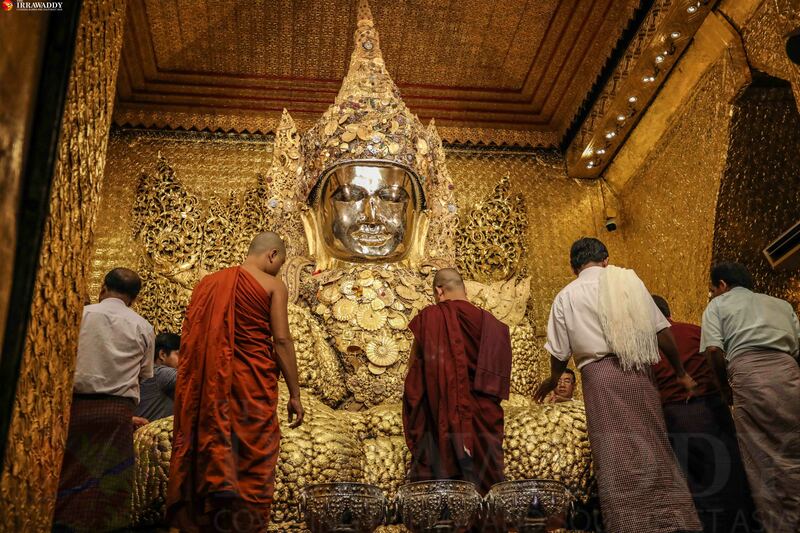 The text comes from the Buddhist holy book known as the Tipitaka. The smaller pagodas are white and make for a beautiful sight. It’s a relaxing spot with a few big Kha Yay (star flower) trees on the grounds. It also makes for great photos. Sandamuni Pagoda is close to Kuthodaw and only takes 5 minutes on foot to reach. 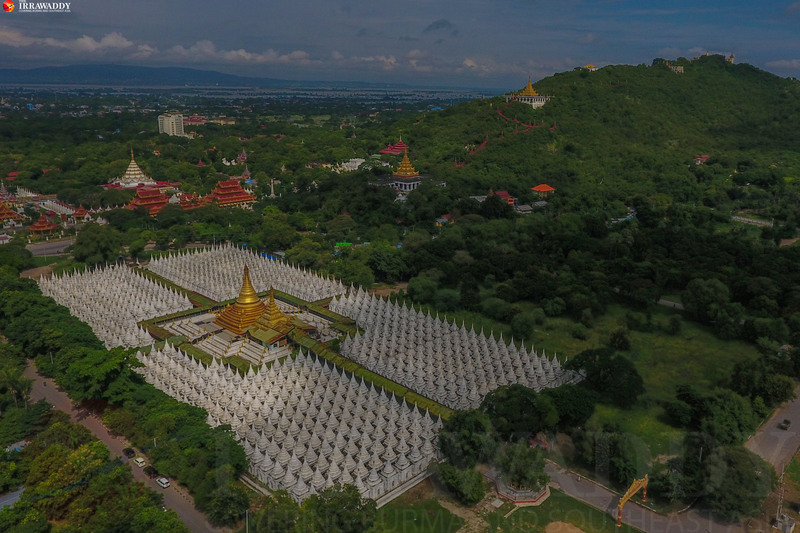 It also has many small, slender white pagodas on the grounds and is best known for the Iron Buddha cast by King Bodawpaya of the Konbaung Dynasty in 1802. The pagoda is stunning and should also delight shutterbugs. With the morning expired, I headed to the center of town for lunch. What’s special about this restaurant is that is serves the rice and curry on a big lotus leaf, like a Burmese buffet. 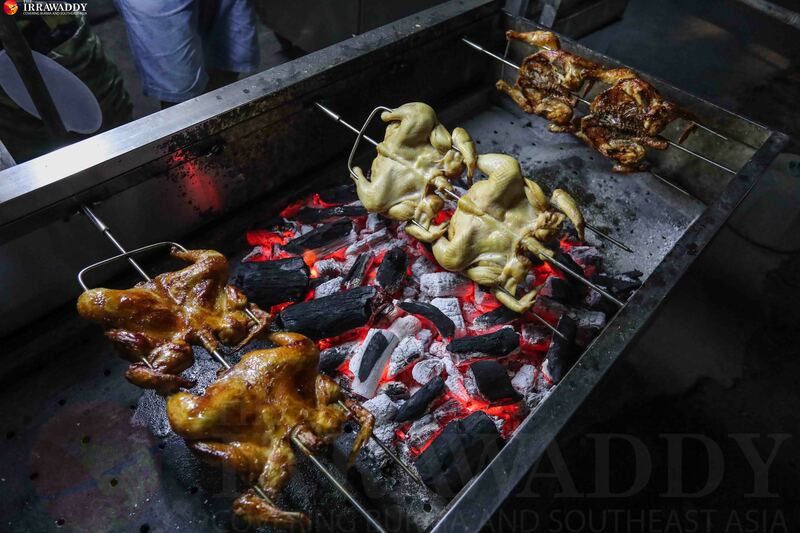 It includes five main meat dishes and eight sides such as salads and soup for only 3,000 kyats per person. The restaurant is on 67th Street, between 32nd and 33rd streets. Most of the restaurants in Mandalay are excellent with reasonable prices and include Thai, Chinese, Indian and Korean, so it’s easy to try something new. After lunch it was about 1 p.m. and getting hot. I decided to spend my afternoon at Mandalay Palace. The Mandalay Royal Palace, or Mya Nan San Kyaw, was the last royal palace in Myanmar and the first palace to be built in Mandalay. It was the home of King Mindon, who moved his capital to Mandalay from Amarapura. The entire palace was destroyed during World War II but later restored. The palace has a total of 12 gates, the main one sitting along the eastern wall. These days only a few gates are open; I entered from the west. At the entrance, visitors must show an ID card or passport. Foreigners also have to pay 10,000 kyats for a look inside. Some of the buildings are old and some have been restored. Most are empty inside and offer very little information about what you are seeing. Visitors can climb a tower for a bird’s eye view of all of Mandalay; it might just be the best part of the palace. The palace compound itself is very large and best to explore by car or motorcycle. After a couple relaxing hours at Mandalay Palace, I headed to Mandalay Hill to catch the sunset. 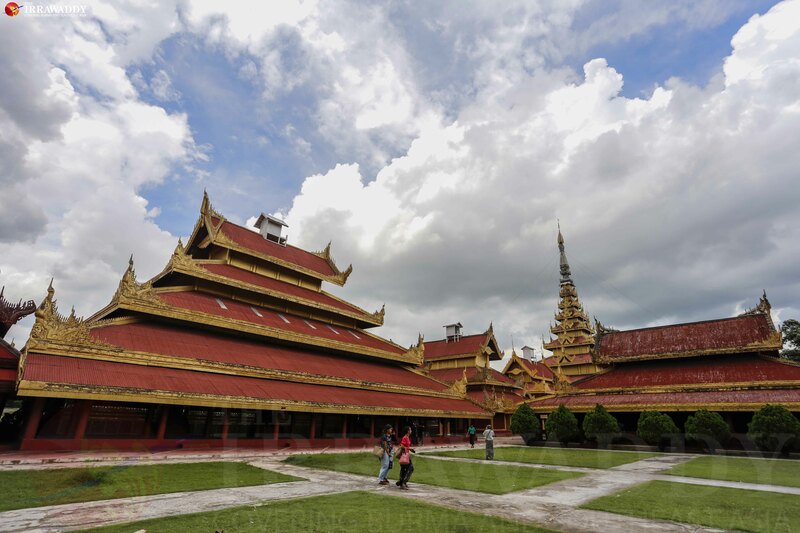 From the palace, it was 15 minutes to Mandalay Hill, a must for the first-time visitor to the city. 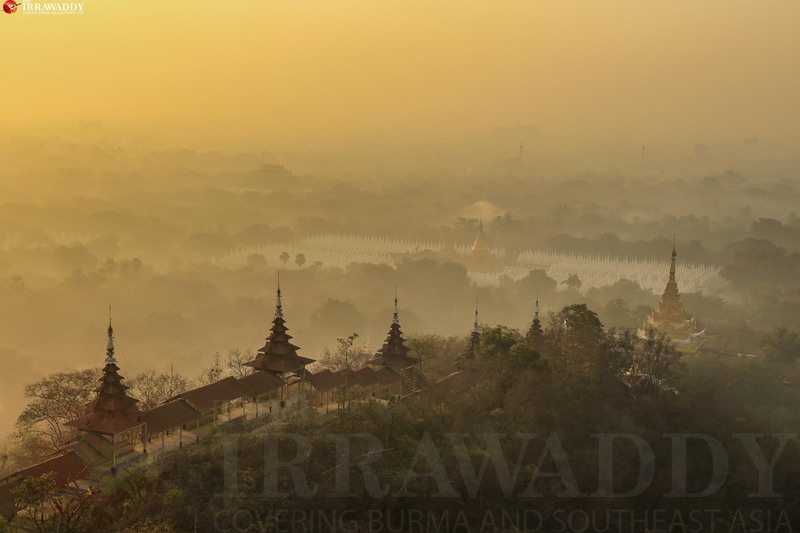 There is no better way to end a long day in Mandalay than trekking up the hill for the sunset. You might get tired, but the view is worth it. From the top, you can see the many ancient temples and pagodas sprinkled all around you. If you still have the energy, another worthwhile site is the U Pein bridge, nor far from the hill. 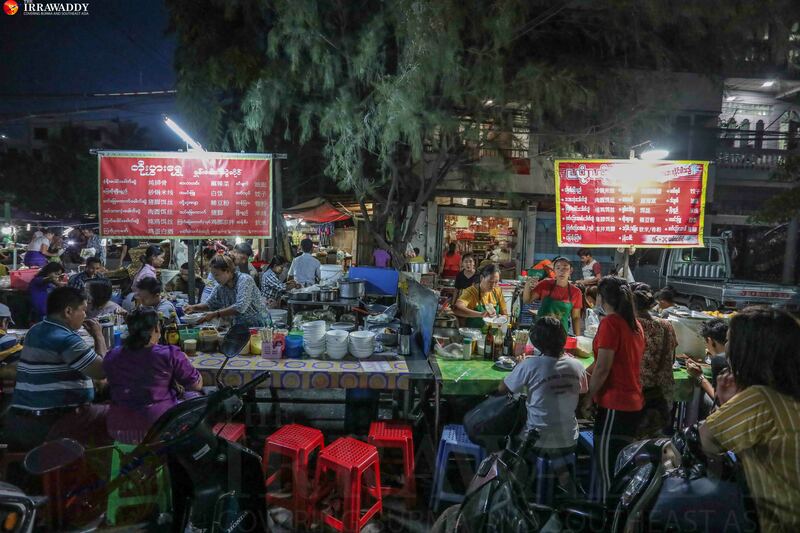 Mandalay also has a China Town packed with street-food vendors and stalls and bars, but it’s not so clean. The variety isn’t great either, giving visitors a choice between Shan noodles, Shan-style dumplings and some Chinese dishes. But it’s good for a beer with some local snacks and a chance to watch the locals go about their daily lives. The weather in Mandalay is very hot, even in the rainy season. Even the wind is hot. So you should bring your sunglasses whenever you go and take along some sunscreen. Bring some long-sleeved shirts and a hat, too. Mandalay has a lot of pagodas and monasteries, and all forbid footwear inside. So ditch the shoes and opt for a comfortable pair of slippers to slip on and off. And as I mentioned before, Mandalay is full of beautiful sights, so don’t forget to pack your camera and take plenty of pictures.